Offer expires August 05, 2014 11:59pm (EDT). Please call 1-800-852-4216 for complete details. This entry was posted in Hyundai, Hyundai Accessory Store on July 29, 2014 by hasblog. Offer expires July 29, 2014 11:59pm (EDT). Please call 1-800-852-4216 for complete details. 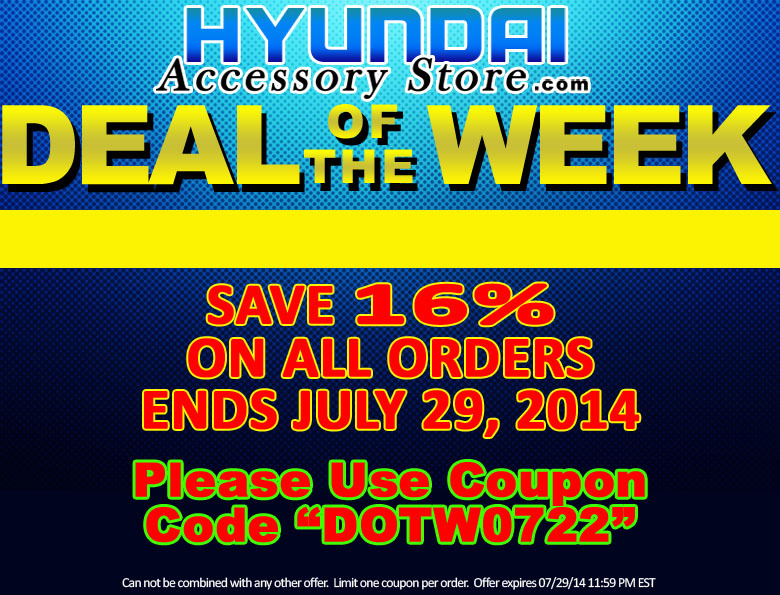 This entry was posted in Hyundai, Hyundai Accessory Store on July 22, 2014 by hasblog. 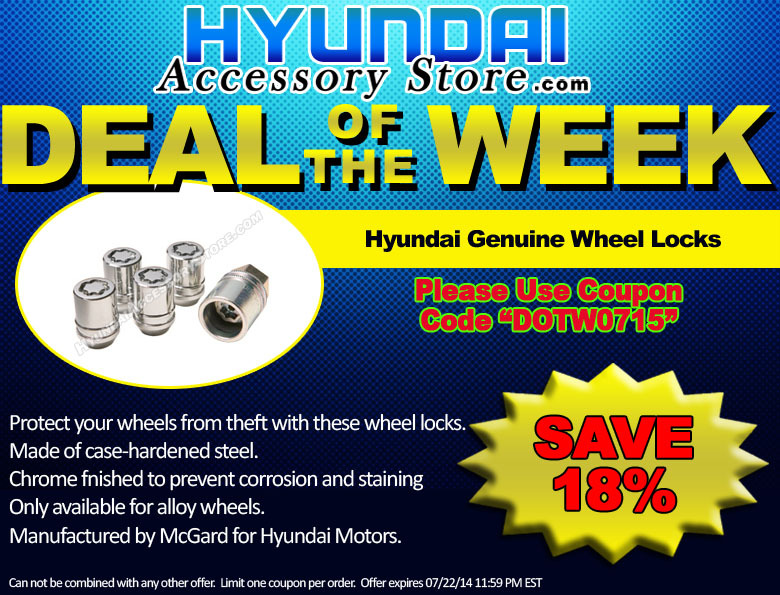 Protect your wheels from theft with these security wheel locks. Made of case-hard steel, these locks are finished to prevent corrosion and staining, while the special key configuration helps ensure that you “stay” in possession of your own custom set of wheels. Offer expires July 22, 2014 11:59pm (EDT). Please call 1-800-852-4216 for complete details. 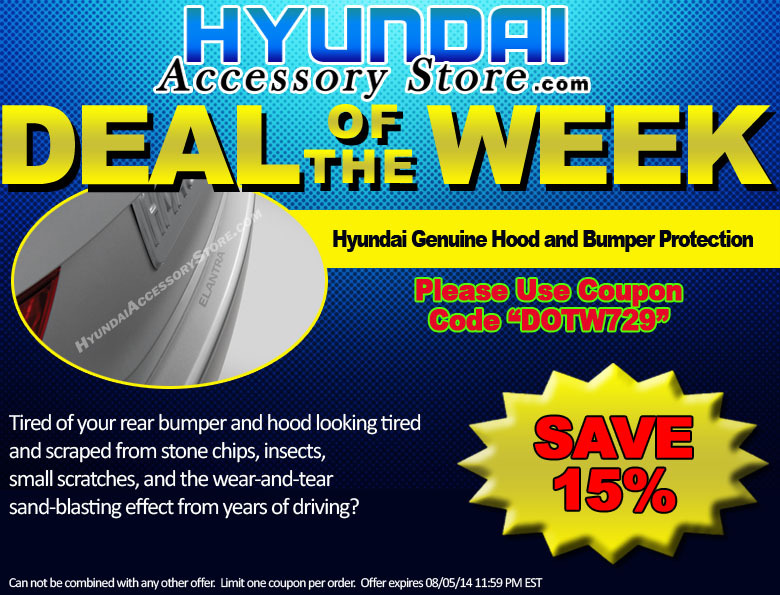 This entry was posted in Hyundai, Hyundai Accessory Store on July 15, 2014 by hasblog. 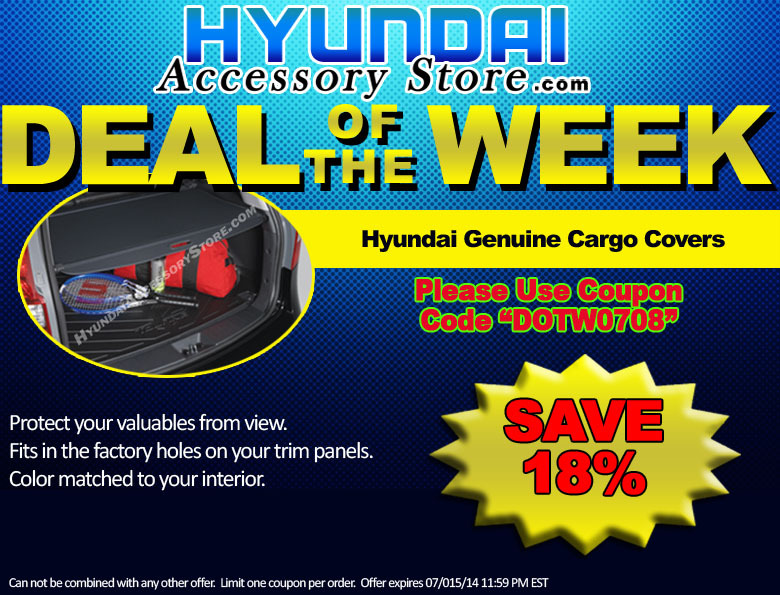 Protect your valuables from view with this Genuine Hyundai cargo screen. Fits in the factory holes on your trim panels. Offer expires July 15, 2013 11:59pm (EDT). Please call 1-800-852-4216 for complete details. 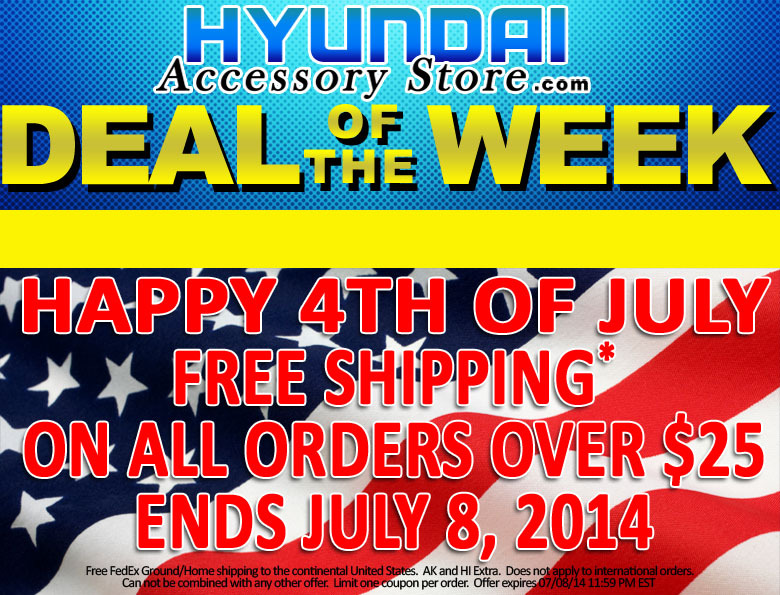 This entry was posted in Hyundai, Hyundai Accessory Store on July 7, 2014 by hasblog. Free FedEx Ground/Home shipping to the continental United States. AK and HI Extra. Does not apply to international orders. This entry was posted in Hyundai, Hyundai Accessory Store on July 1, 2014 by hasblog.